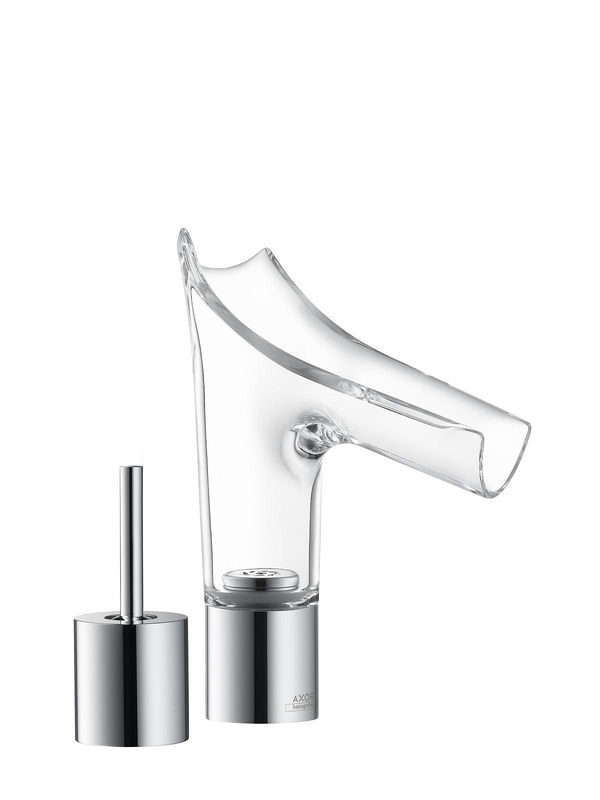 HomeBlogHome DecorAxor Starck V Transparent Glass Faucets by Philippe Starck for Hansgrohe. 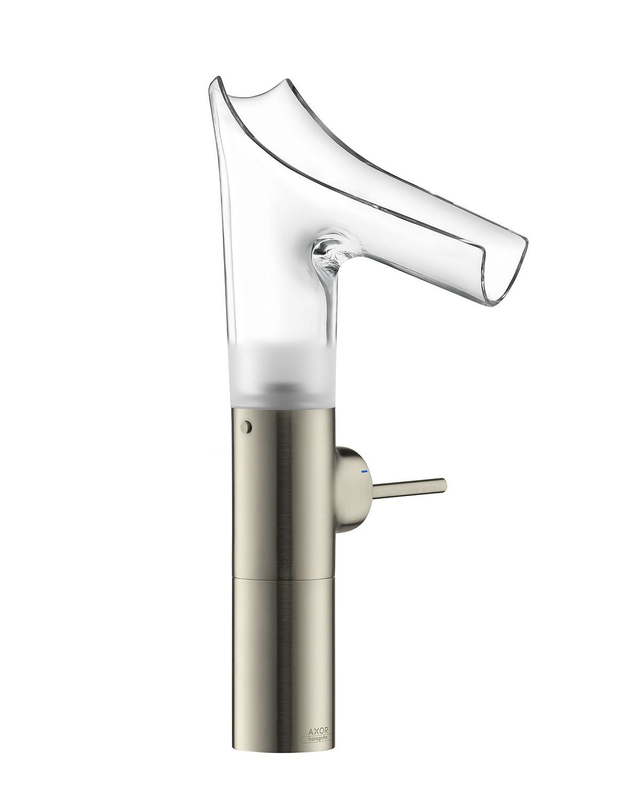 The Axor Starck V faucet range is the latest creation by Philippe Starck for famous bathroom accessories manufacturer Hansgrohe. 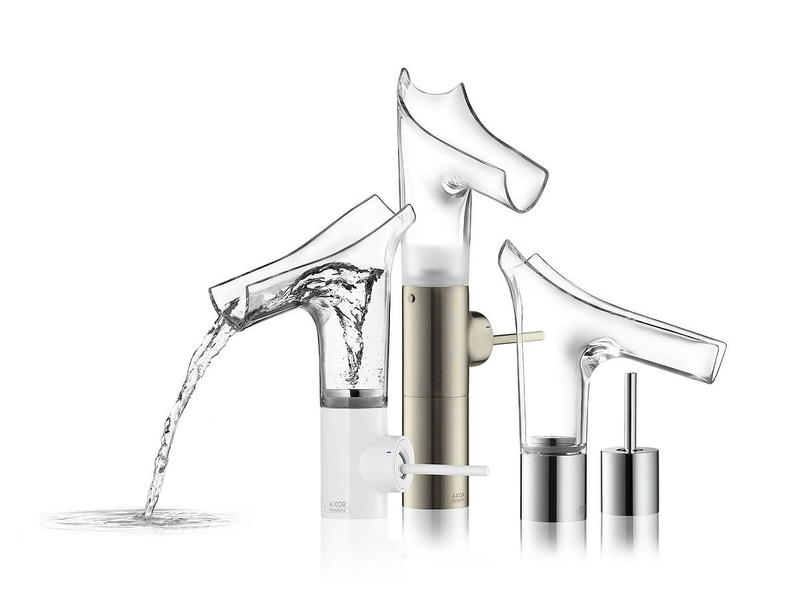 The collection is part of the Axor range, the designer product range of Hansgrohe. 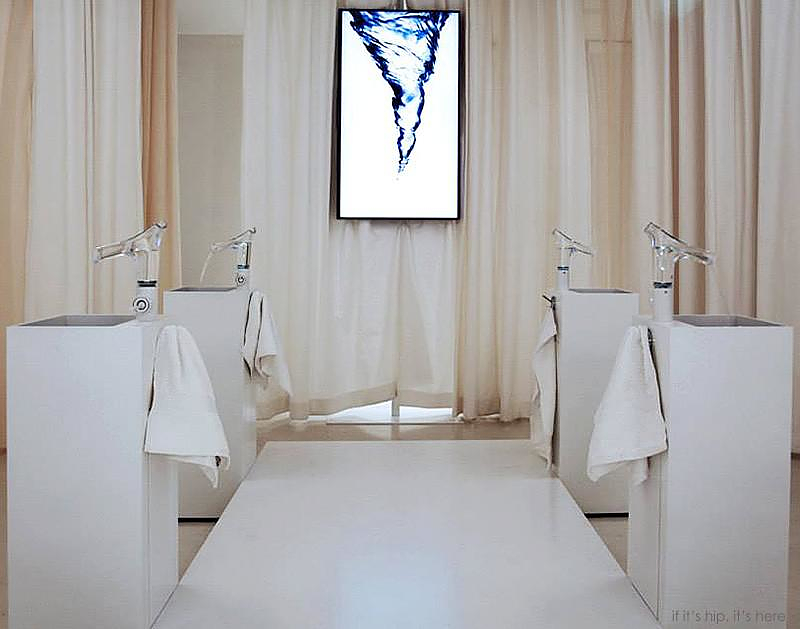 This exciting new range was officially unveiled last April at the Axor flagship store in Milan. 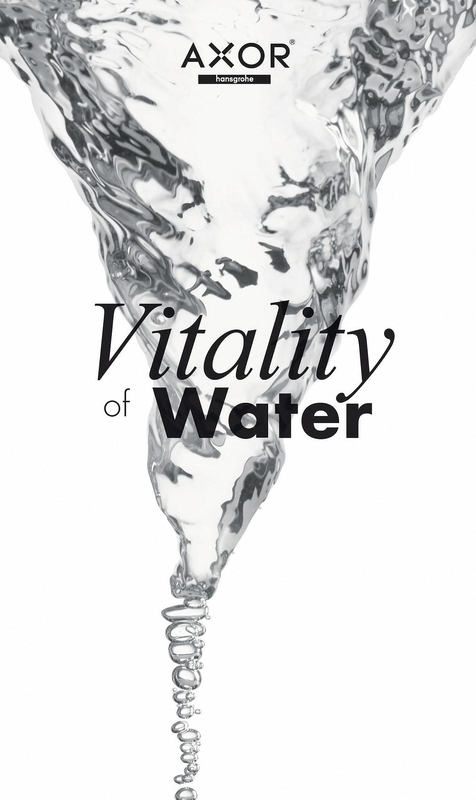 The capital V, which stands for Vitality and Vortex, according to the designer the Axor Starck V range is “About Experiencing the Vitality of Water”. 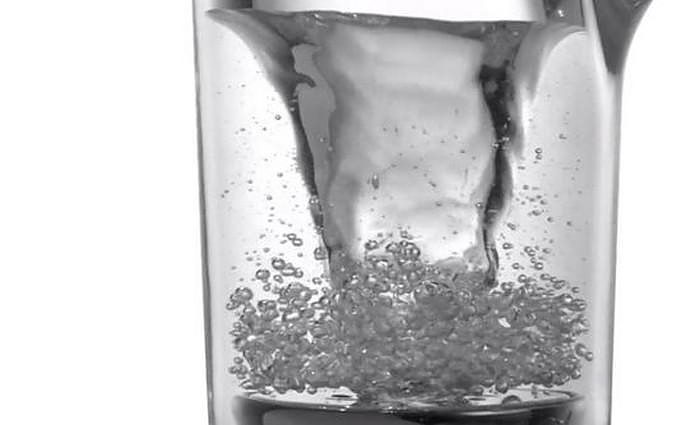 This new category-defining mixer “represents the absolute, totally transparent, almost invisible minimum capable of enclosing that minor miracle that is the vortex”. Our favorite part of the design though are its practical aspects. 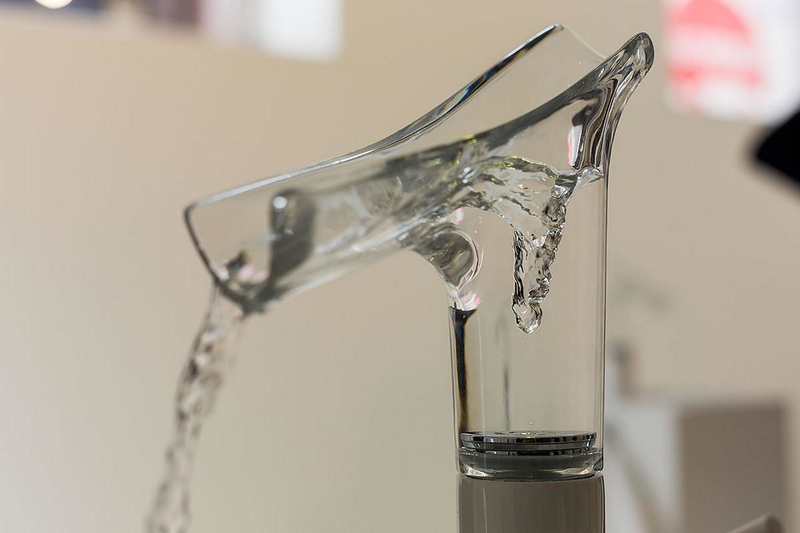 The main reason that most high-end manufacturers avoid glass faucets is the fact that being almost impossible to clean them internally, eventually debris will settle in and being visible from outside, the faucet will look, used, old and ugly. 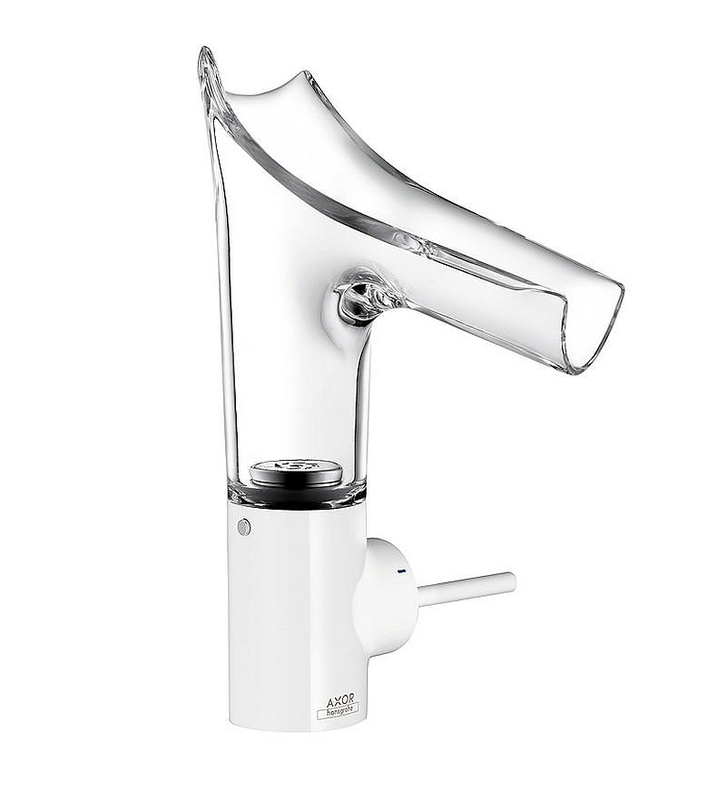 Starck tackles this problem by equipping the Axor Starck V with an open, revolving and removable spout, so as also to facilitate easy cleaning. 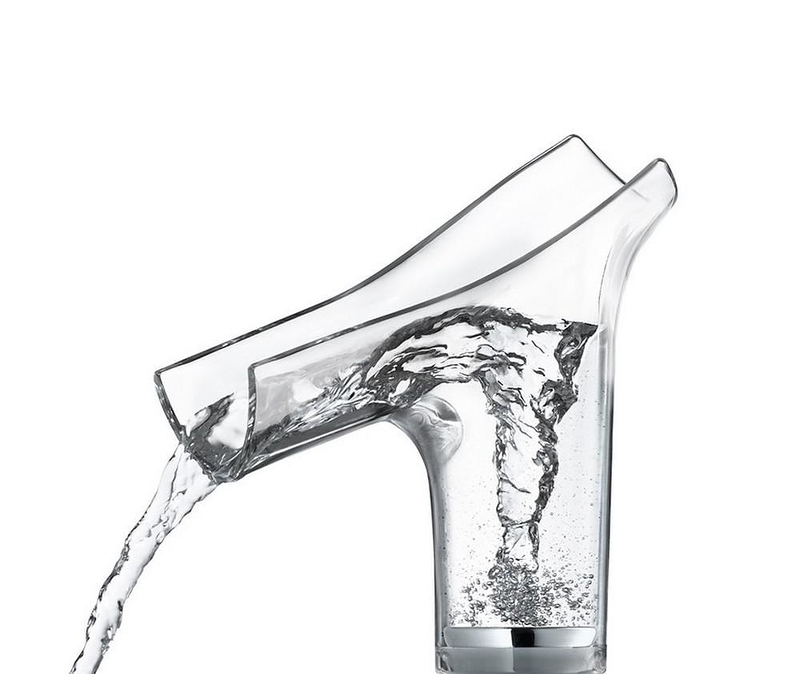 To top it off the spout is even suitable for dishwashers! 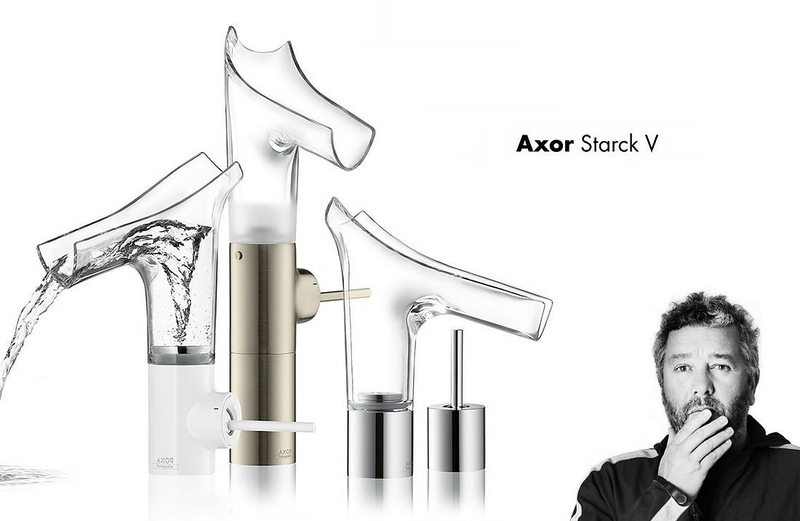 With its pure design language, which is minimal yet organic, the mesmerizing inner vortex and all kinds of practical advantages the Axor Sttarck V is undoubtedly a future classic, which encompasses functionality together with beauty. 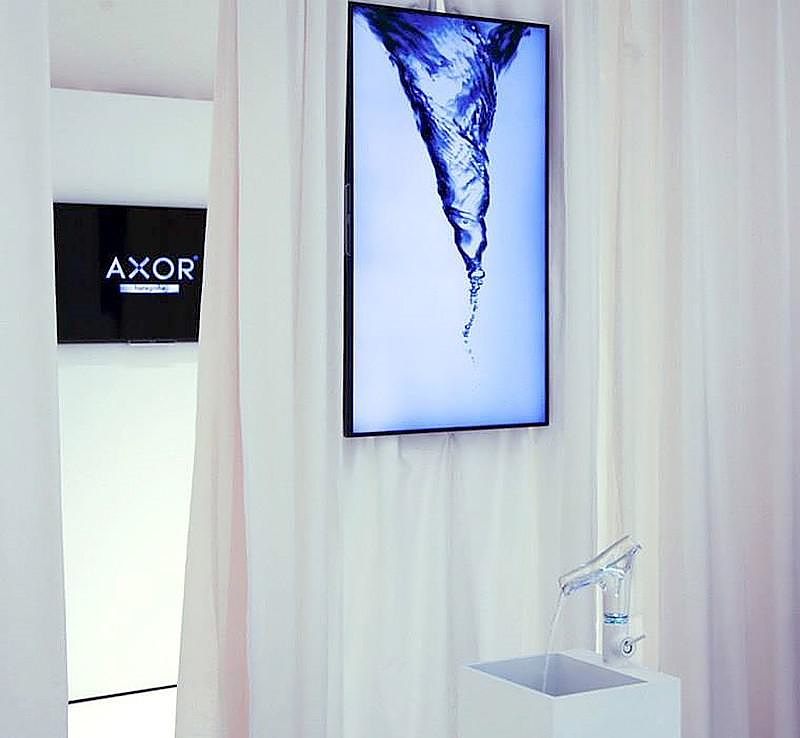 For more than 20 years, the human interaction with water and space has been at the core of Axor’s innovations. 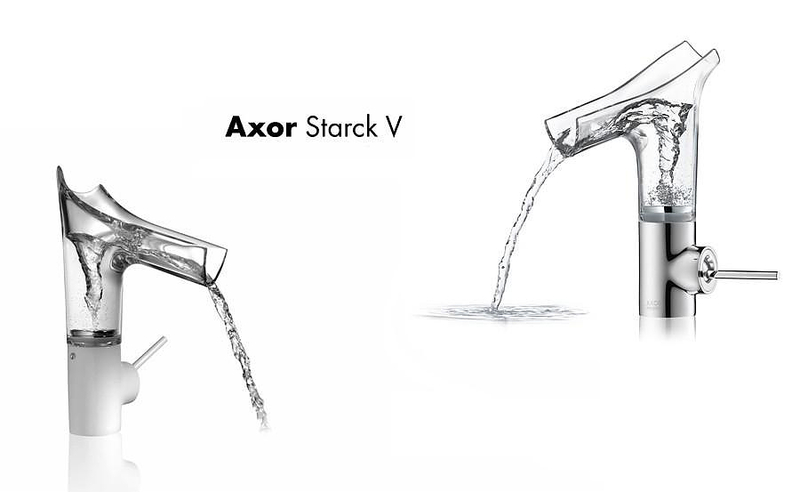 Axor Starck V will be one of the most prominent translations of this idea yet: with the beauty and dynamism of its vortex, the mixer bridges the gap between the functional and emotional aspects of water at the washbasin, transforming it from a basic commodity to a valuable resource. 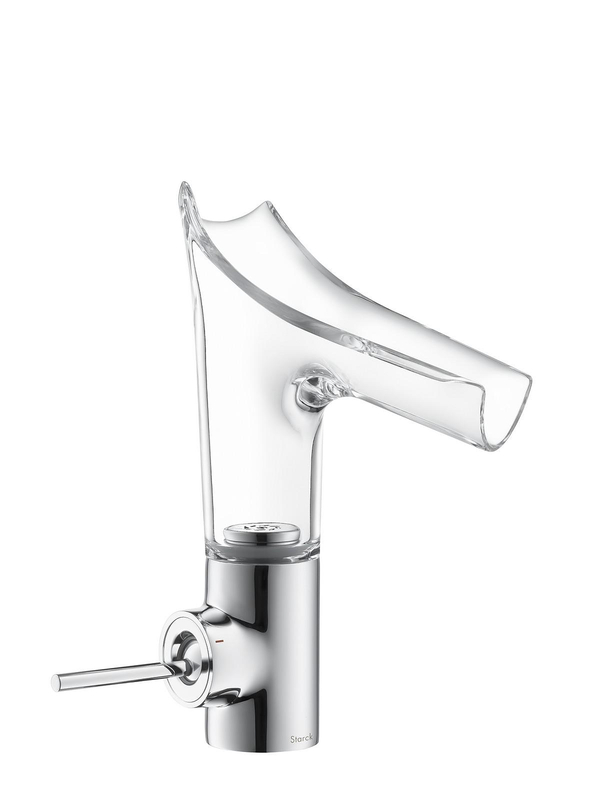 The organic, transparent design of Axor Starck V gives it an exciting, yet subdued presence. 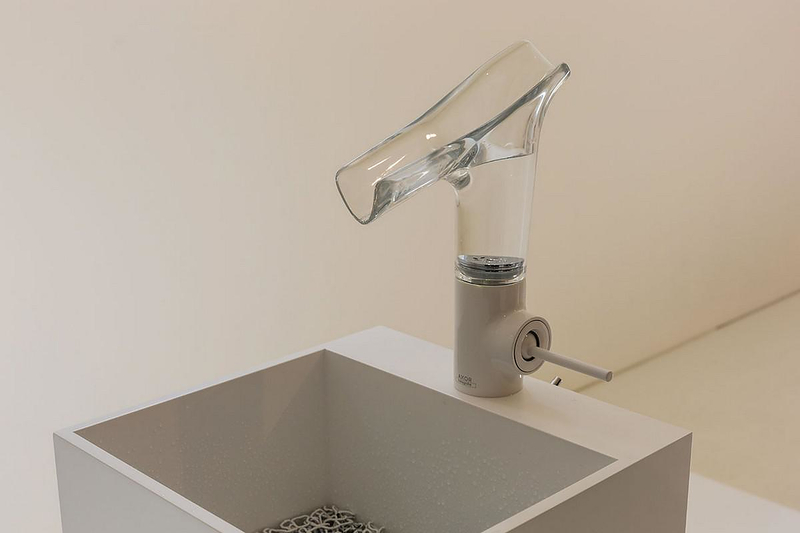 Besides serving the technical function of making water visible, transparency aesthetically fuses the mixer body with its surroundings, thus, in essence de-materializing it. 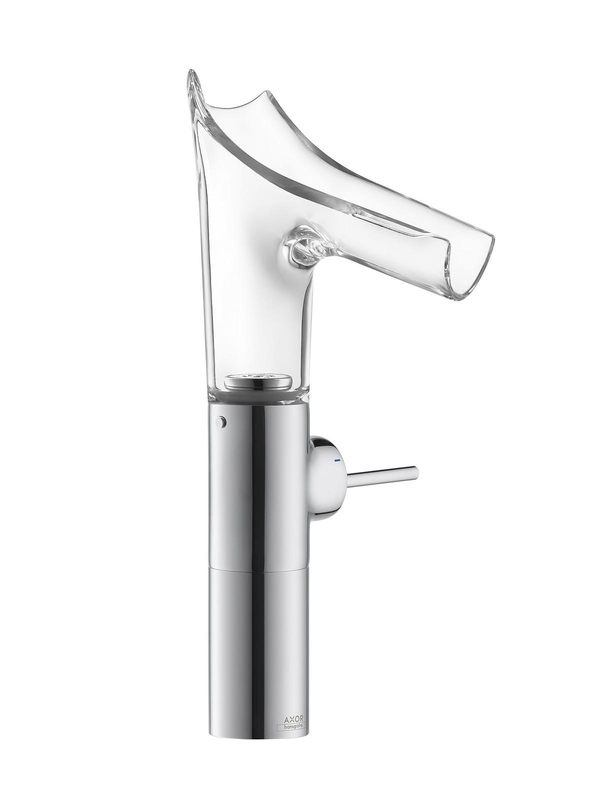 The openly designed spout contributes to the natural water experience: before the eyes of the user, the upward, swirling motion of water through the mixer’s body and its “free-fall” into the washbasin trigger a feeling of joy and happiness. 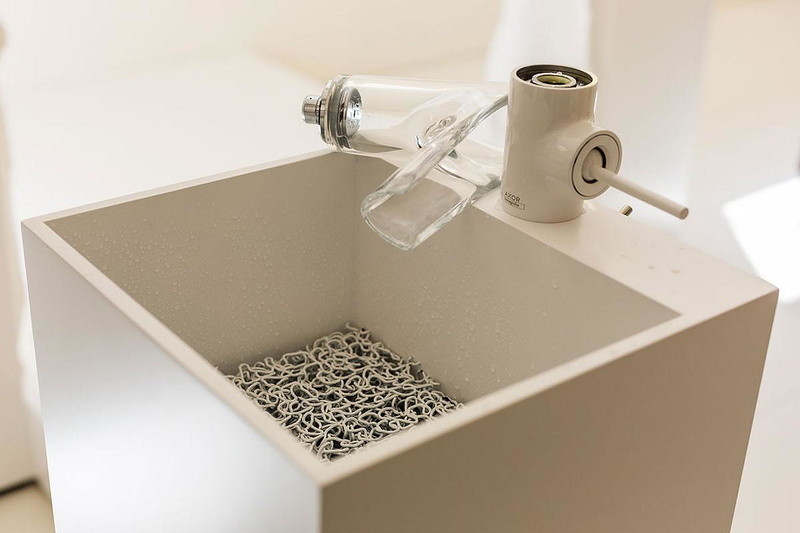 “The vortex phenomenon has occupied my father Klaus Grohe for several years”, explains Philippe Grohe, Head of Axor. 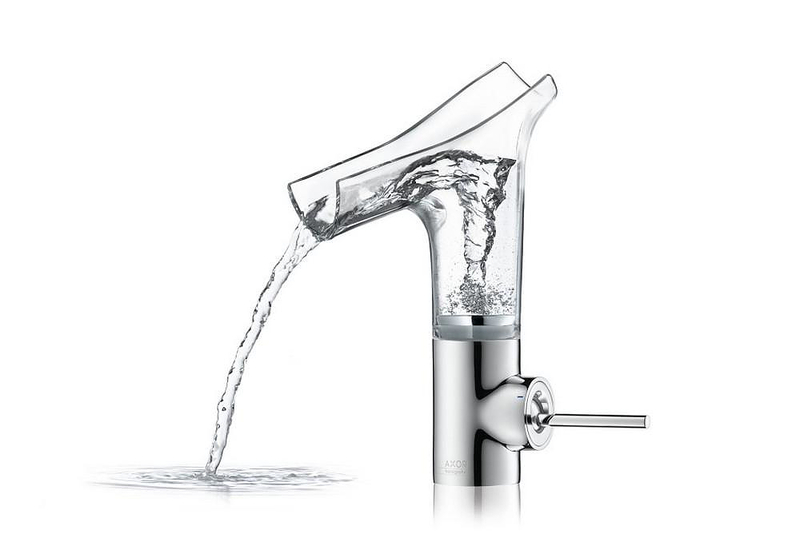 “His intuition that water could visibly be brought to the foreground through the vortex, was the starting point in the development of Axor Starck V. In our long-time friend Philippe Starck, we not only found the perfect design partner to create a shape around the vortex, but also a valuable sparring partner in the developmental process. Ultimately, the realization of the project was not made possible by creativity and determination alone, but by technical know-how and over 100 years of experience in handling water.